NRD has partnered with McDonald’s for decades, assisting in new construction sites, remodels, Handicap Accessibility, and LEED design. 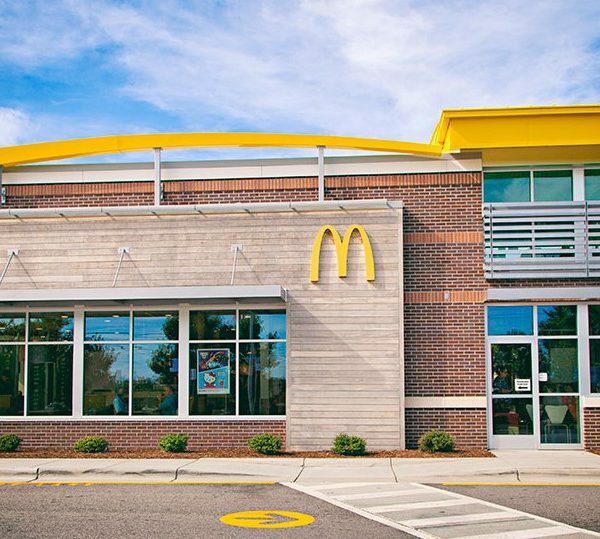 NRD is proud to be the Architect/Engineer of record for the first and second LEED Gold Certified McDonald’s in North Carolina. Working closely with the Regional Office, and the McDonald’s design team in Oak Brook, IL, NRD has completed many successful projects over the years, including the recent large roll out of new branding of McDonalds interiors and exteriors. NRD was also key in the McDonald’s effort to insure their existing restaurants met American with Disability Act (ADA) Handicap Accessibility standards. After visiting “Hamburger University” at the corporate office, NRD became a certified McDonald’s ADA surveyor tasked with investigating existing locations to report on items inside the stores which had potential for violations of the ADA both at a local code and national law level with detailed reports and photographs of any violations. NRD would then produce construction documents intended to resolve any violations found during site visit.